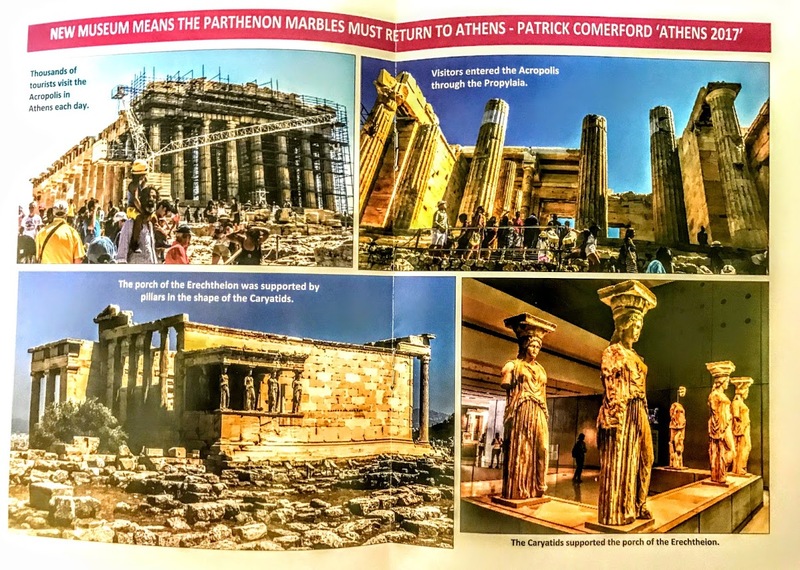 My monthly column in the November editions of two diocesan magazines – the Church Review (Dublin and Glendalough) and the Diocesan Magazine (Cashel, Ferns and Ossory) – looks back on my visit three months ago to the Acropolis in Athens and the new Acropolis Museum, and argues for the return of the Parthenon Marbles to Athens. The two magazines are printed in different formats, so these columns normally receive a two-page spread in the Church Review and run over six pages in the Diocesan Magazine. 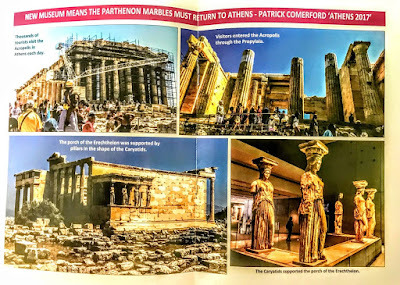 This month, the editor of the Diocesan Magazine, the Revd Patrick Burke of Castlecomer, Co Kilkenny, has supplemented my column and photographs with an extra two-page centrefold spread, using some of my photographs from Athens. But more about this on Sunday afternoon [5 November 2017].